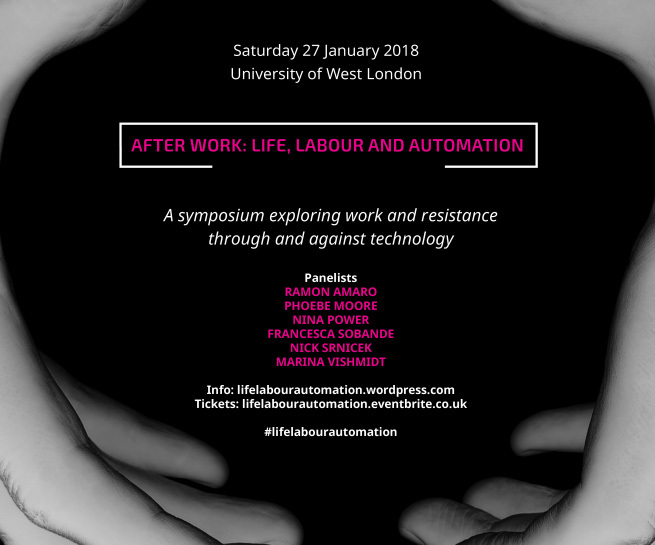 On Saturday January 27th 2018, we attended 'After Work: Life, Labour and Automation' a symposium exploring work and resistance through and against technology. The event was organised by Autonomy, the ‘Gender, Technology and Work’ research cluster at UWL and the wrkwrkwrk collective. Follow the link to hear the recordings.